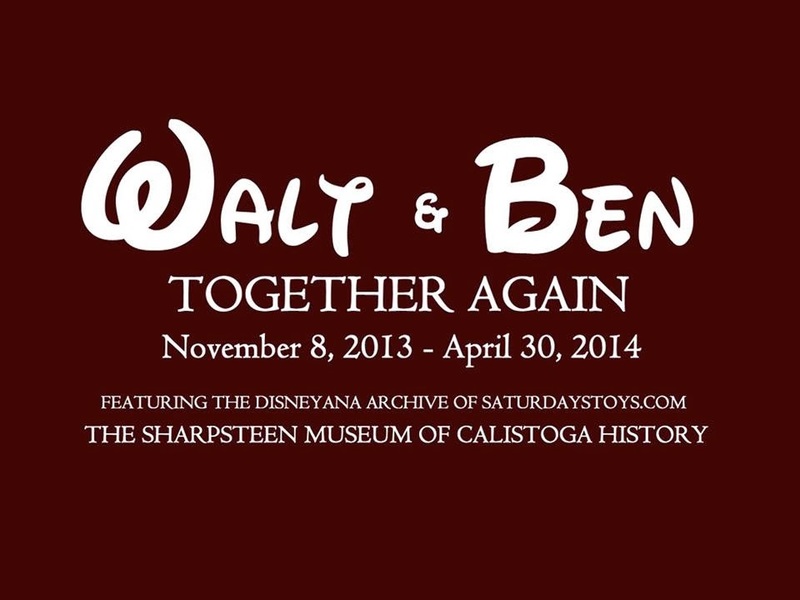 Two spectacularly rare Disneyana items which recently sold on ebay. The Paragon China plate sold for $525 and the French postcard below went for $158. I had never seen those two items in more than 25 years of collecting. 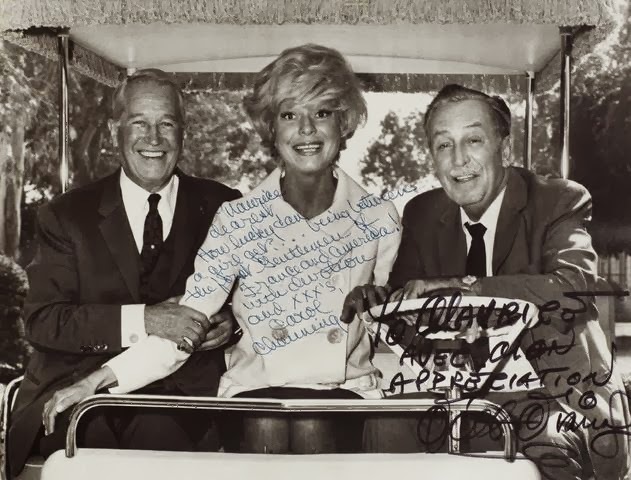 Maurice Chevalier, Carol Channing and Walt Disney. Probably circa 1966. 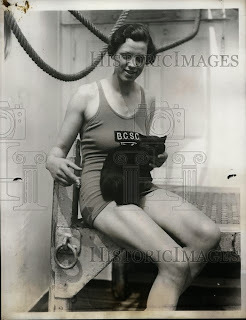 Thanks to Emmanuel Bourmalo for the heads up about this photo. 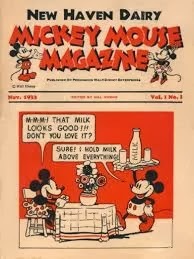 [The slogan for the 1935 version of the “Mickey Mouse Magazine” was “A Fun Book for Children to Read to Grown-ups.” Roy O. Disney told publisher Hal Horne that the slogan was accurate because his young son (Roy E. Disney) spent an entire evening at a polo match reading the first issue and pestering his father by reading him the jokes. “On the walls inside the (Hyperion) studio, in private offices as well as in conference rooms, are framed drawings of Mickey Mouse in every conceivable pose. Painted on one door in red and gold is a shield bearing Mickey’s Coat of Arms. The mystic words ‘Ickmay Ousmay” are inscribed on this heraldic emblem and they have puzzled studio visitors a good deal. But guests who recall a jargon almost universal among American children grin and translate the gibberish into ‘Mickey Mouse’. 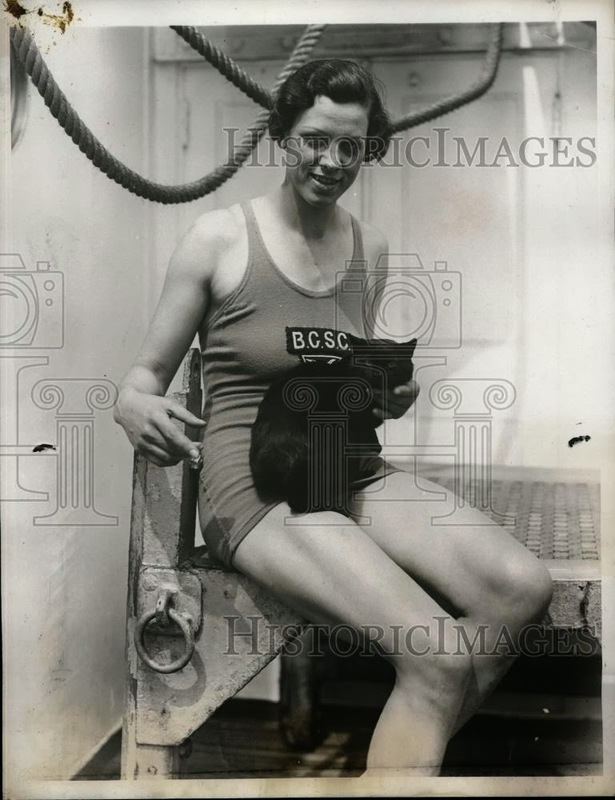 This was the language whereby dark secrets were kept from inquisitive adults.” McCalls magazine August 1932. On November 17, 1978, the White House President Jimmy Carter’s daughter, Amy Carter hosted Mickey Mouse’s 50th birthday party for handicapped Washington, DC children. President Carter was there and joined in the singing of Mickey Mouse Club theme song. Also in attendance was Disney animator Ward Kimball who whipped out seemingly endless drawings of Mickey Mouse for the President, Amy, other guests and even Secret Service agents dressed as clowns. Emperor Hirohito of Japan was a huge fan of Mickey Mouse. He was given a Mickey Mouse watch as a gift during his special tour of Disneyland in 1975. For years, even on formal occasions, His Majesty was observed wearing the watch. In 1979, there was panic when the watch stopped ticking, and a concerned palace chamberlain rushed it to Tokyo experts specializing in American timepieces. Fortunately, the watch merely required a new battery. When Hirohito died in 1989, he was buried at his request with the Mickey Mouse watch. Don't forget to check out this exhibition if you live in the area. I still can't manage to write a proper homage to Diane, so in the meantime here is a small story that I believe you will enjoy. commented with reverent voice on said scenery. That got us started. Pretty soon the subject turned to wallabies. Wallabies? He keeps the wallabies in the yard and has a great time watching them. Even Diane Marie is crazy about them and she's only a baby with a rocking complex. 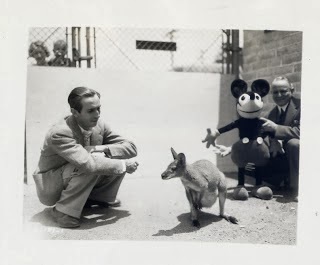 [On September 13, 1929 at the Fox Dome Theater in Ocean Park, California (managed by Harry Woodin who was the originator of the Mickey Mouse Clubs in the 1930s), it was announced that at the noon matinee “In Person. 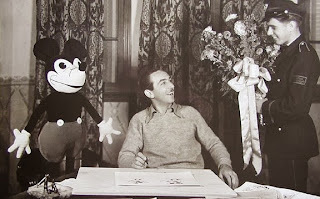 Mickey Mouse’s Daddy, the man who originated the world’s most popular sound cartoon character: Walt Disney assisted by Carl Stalling at the piano and U.B. Iwerk (sic), cartoonist. They’ll show you how they do it, and introduce ‘The Mickey Mouse Theme Song’. Mothers and Fathers are urged to attend this program.” Yes, this was just a children’s matinee. Since 2006, Janet Esteves of Celebration, Florida has held the Guinness World Records book honor of the largest documented Mickey Mouse memorabilia collection in the world. In 2006, it was 2,100 items and in 2013 the collection was officially 4,127 items that filled her 1,900-square-foot condo. Esteves actually estimates her collection at nearly 6,000 items, but many of them were packed away and unavailable for the final official count. In 1969, it was reported that comedienne Carol Burnett once refused an offer of $500 for her classic 1930s Mickey Mouse watch, a gift from her husband Joe Hamilton. The 1935 Romanian authorities banned Mickey Mouse films from cinemas after they feared that children would be "scared to see a ten-foot mouse in the movie theatre". 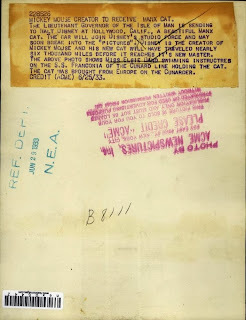 I am looking once again for a volunteer in London willing to go to the British Film Institute to get access to a few great documents which shed light on the early days of Disney in the UK. A first volunteer already helped me a lot with this. But there are still a few great documents to extract and he is now too busy to go back one last time. Could you please email me at didier.ghez@gmail.com? 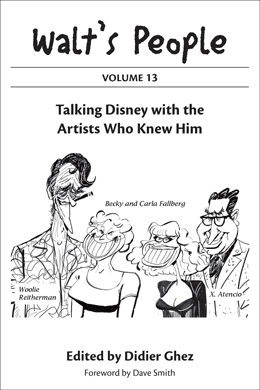 Thanks to Timo Ronkainen for the heads up about this new book about Carl Barks. Not at all certain what it is worth. I still cannot believe that Diane is gone and probably won't be ready to stare the reality in the face for a few more weeks or months. 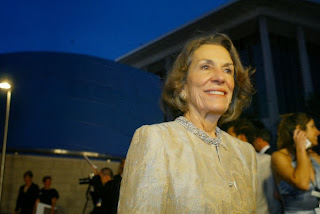 Do not forget to read Remembering Diane Disney Miller by Jim Korkis for a wonderful tribute to a truly special woman. I am working on the introduction for the "lost" autobiography of a Disney story artist of the Golden Age (I can't reveal the name yet) and need your help. 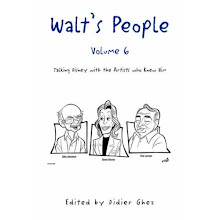 Could readers of Walt's People or of Don Peri's books, send me quotes from Disney artists or people who worked for Walt (not Disney's family members) which present Walt in a very favorable light? I am looking for "Walt the caring human being," or "Walt the marvelous boos" not "Walt the genius." Quotes from other books are fine too as long as you tell me exactly where they come from and as long as they are quotes from Disney artists or employees. [A witch doctor in the Belgian Congo reportedly used a homemade mask of “Mikimus” to provide a little extra magic. When actor Doug Fairbanks went on a world tour, he showed Mickey Mouse movies to head-hunters of the South Seas Islands to keep them friendly. At the 1939 New York World’s Fair, A.W. Robertson, Chairman of the Board of Westinghouse, and Grover Whalen, President of the 1939 New York World’s Fair, placed a Mickey Mouse wristwatch into a sealed time capsule not to be opened for five thousand years (the year 6939) and buried fifty feet deep. Also included were a kewpie doll, a pack of Camel cigarettes, a Gillette safety razor, a dollar in change, copies of “Life” magazine and more. 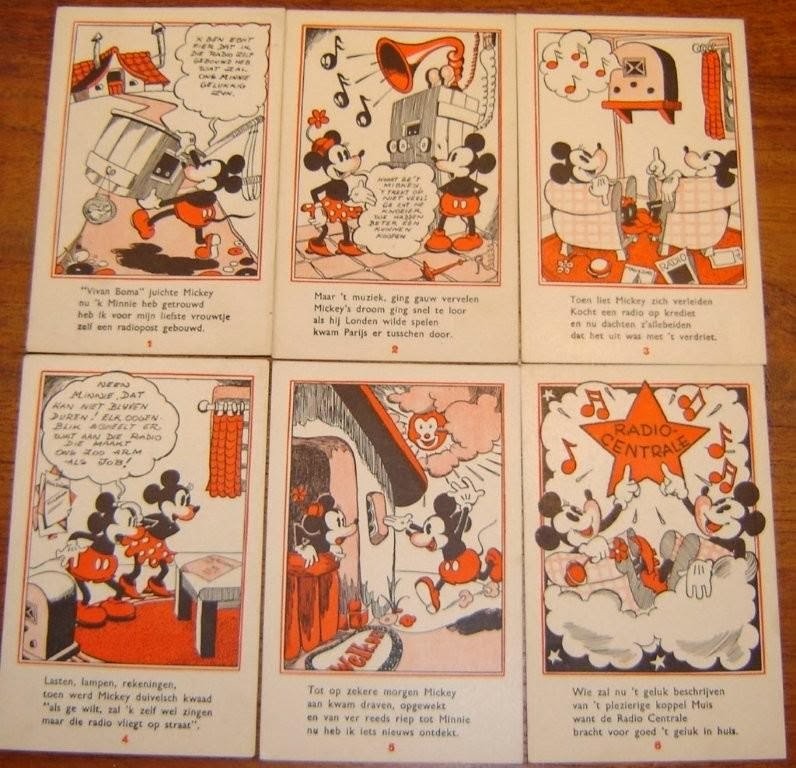 Excerpts from Mickey Mouse cartoons appeared in movies from other studios. A short clip from Mickey Mouse’s “Ye Olden Days” (1933) is seen at the beginning of the Fox Films, “My Lips Betray” (1933). Republic Pictures Corporation film “Michael O'Halloran” (1937) features an excerpt from “Puppy Love” (1933). In Paramount’s “Sullivan’s Travels” (1941) is an excerpt from “Playful Pluto” (1934). 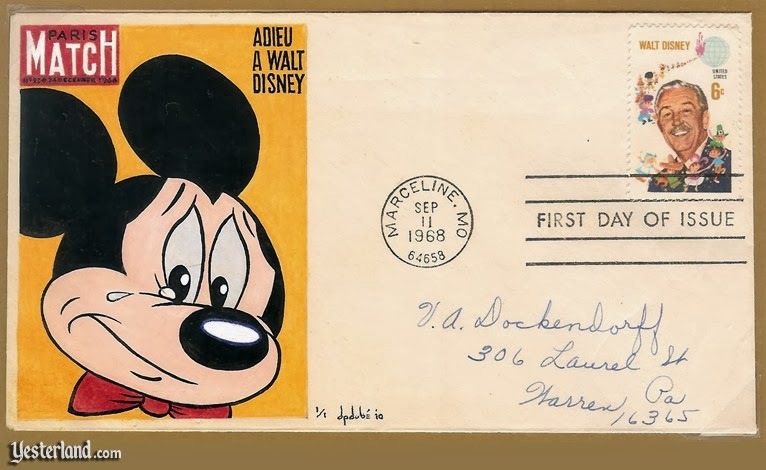 When a United States commemorative stamp was released in 1968, it featured the smiling face of Walt Disney but not Mickey Mouse. Postal regulations at that time prohibited the placing of a Disney copyright notice on its stamps. 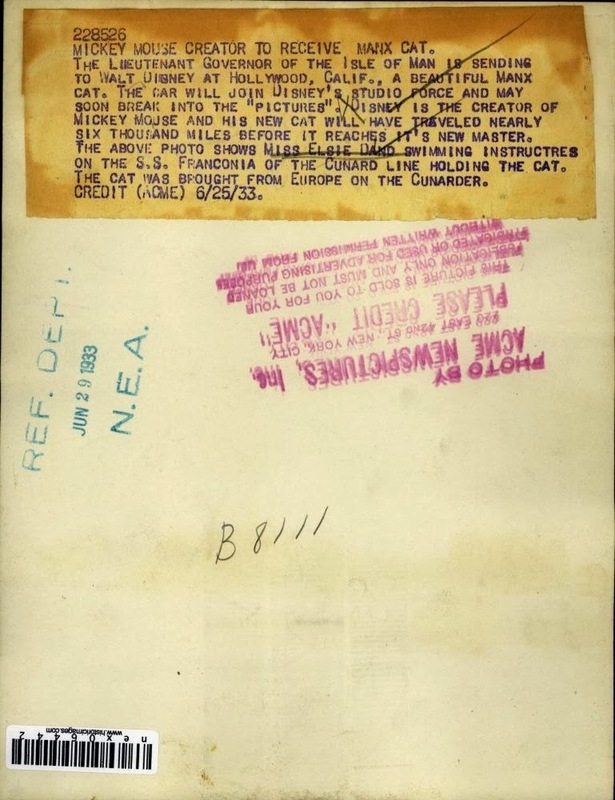 However, other countries around the world did not have similar restrictions so Mickey first appeared on a ninety lira stamp from the tiny republic of San Marino in 1970 with an appropriate copyright notice. Aria For A Cow, an animated short based upon a song of the same title by the award-winning team of Howard Ashman and Alan Menken, the men behind the music of Little Shop of Horrors, The Little Mermaid and Beauty and The Beast, is about to find its voice. A multi-generational and multinational team of talent will enter a Santa Monica recording studio On December 6, to give voice to a cow to whom attention must be paid. On Tin Pan Alley, great songs never die; they just wait around for the right moment to arise. 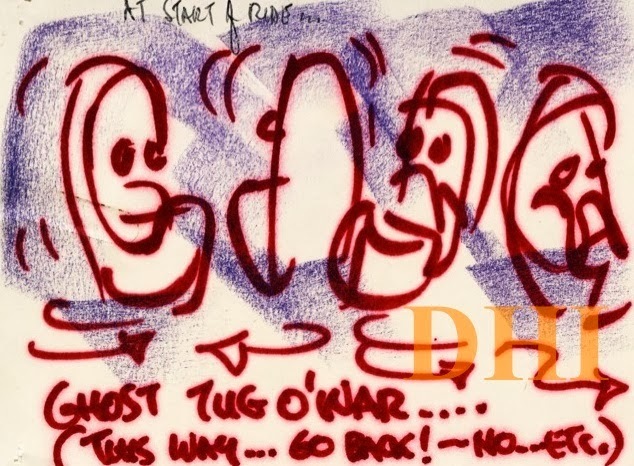 When veteran Disney animator, Dan Lund, contacted Sarah Ashman Gillespie - webmaster of Howardashman.com, a website about the work of her late brother, lyricist, director and writer, Howard Ashman – the moment was right for Aria For A Cow. Lund took the reins of the project, bringing in Nikitha Mannam and Amos Sussigan - talented young filmmakers straight out of school - and veteran producer, Connie Thompson. Singer Kate Pazakis soon signed on. It is a style of filmmaking that has garnered Sussigan and Mannam much attention and numerous awards for their first two animated shorts, Broken Wing and Swan Cake. Dan Lund, the mastermind behind the project, is particularly excited about working off the grid, "I wanted this production to be fun and gather momentum that could transcend the lack of budget and studio support. The only way to get that forward motion is to surround yourself with people with something to prove." A welcome surprise to the "Global Barn" is the recent inclusion of Linda Bel and the San Francisco Academy of Art University. “Seeing Linda and her students showing up and ready to put on a show makes me feel like Linda and I did back in the day”, says Lund. Bell and Lund started their career together at the Disney studios animating on "Beauty and the Beast" and remember fondly their time animating to the songs of Alan Menken and Howard Ashman. A terribly sad day. Still in shock. More later this week. See this link for a little more info. 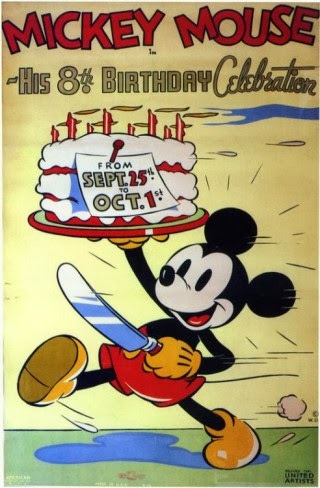 In 1932, there was a “Mickey Mouse Birthday Party of the Air” celebrated on NBC radio on the night of September 29. The morning of September 30, George Rector, internationally known restauranteur, went on WJZ and NBC network to announce in honor of Mickey Mouse’s birthday a special (cheese) sandwich that would be featured in all A&P stores. 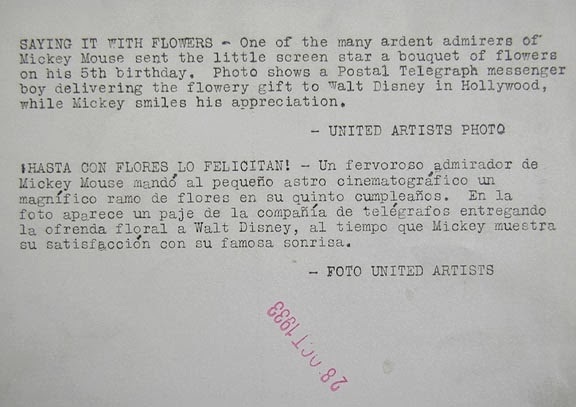 Mickey's fifth birthday was celebrated on September 30, 1933 with a Hollywood testimonial party where the speakers included Charlie Chaplin, Mary Pickford and Will Rogers. On Mickey’s eighth birthday in 1936, it was released to the press and printed in “The Literary Digest” (October 3, 1936) that 468 million tickets were sold to his cartoons in 1935. In 1937, on his ninth birthday, The Boy Scouts of America bestowed upon Mickey membership in the Cub Scouts. In 1953, Capitol Records produced a "record-reader" entitled "Mickey Mouse’s Birthday Party" (DBX 3165) to celebrate Mickey's Silver Anniversary of being twenty-five years young. A "record-reader" was a two-record set accompanied by a storybook and some cue, like the sound of a bell or a horn, to let a child know when to turn the page so that the sounds on the record would match the story in the book (in this case, Mickey Mouse coaxed Donald Duck to give the signal to turn the page). 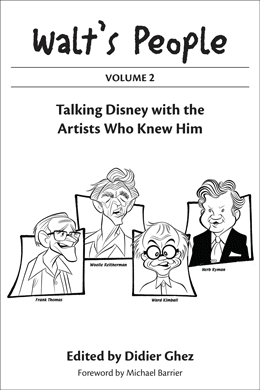 The voice of Mickey Mouse was provided by... Stan Freberg. Mickey Mouse was the first animated character to receive a star on the Hollywood Walk of Fame in November 13, 1978 in honor of his 50th birthday that year. It is located at 6925 Hollywood Boulevard in front of Grauman’s Chinese Theater. Coming soon to a bookshop near you. 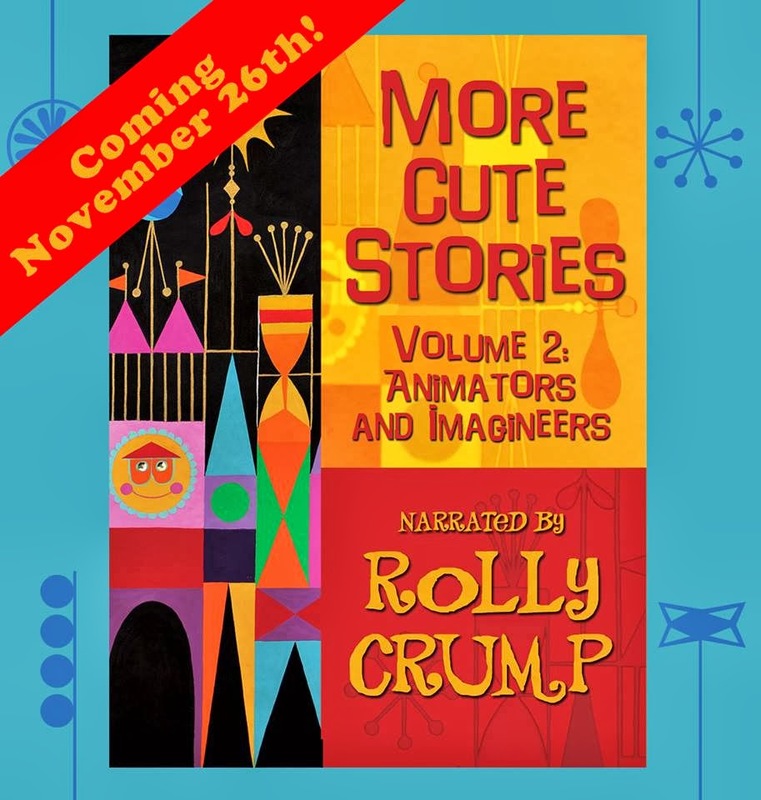 (Thanks to CartoonBrew for the heads up about this upcoming book). To celebrate the release of Jim Korkis' The Book of Mouse, I conducted a quick interview with him last week. 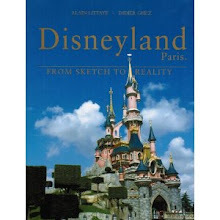 Didier Ghez: When and why did you decide to write this book? 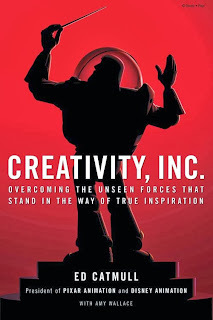 Jim Korkis: Several years ago, I found myself frustrated when I was writing an article about Mickey Mouse and I had to go through dozens of books, magazines and websites to find the information I wanted. I felt there needed to be one reliable resource book with all the important information and so I started a file folder that just kept growing over the years. In addition, I wanted to debunk the flood of incorrect information that is out there on the internet. 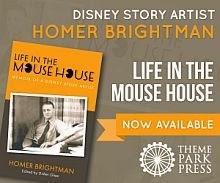 So, I have been working on this for years and fortunately it all came together in time for Mickey’s 85th birthday. One site I found last week (and this is an exact quote) wrote that “Steamboat Willy (sic) debuted at Grauman’s Chinese Theater on June 29,1929”. I think the only things correct in that sentence are “at” and “on”. This was part of an authoritative four page article with a long list of comments from readers complimenting the author on listing all this information. DG: What are the key chapters of the book? JK: There are several major sections and each section has sub-sections or chapters or both. 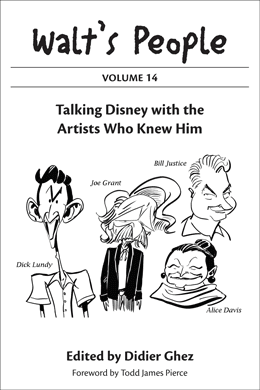 Mouse-ce-llaneous covers where Mickey lives, how tall he is, who Ub Iwerks was, an exclusive interview with Floyd Gottfredson, the birth of Mickey Mouse merchandising and more. Mouse-ka-Tales is twenty pages of Mickey Mouse anecdotes. 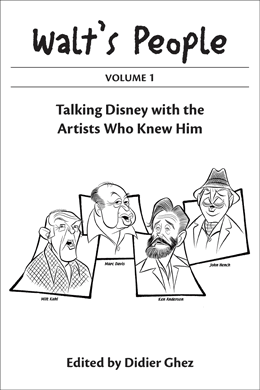 Mickey at the Movies has chapters on the making of Plane Crazy, Steamboat Willie, Runaway Brain, Sorcerer’s Apprentice and more like UnMade Mickey Mouse cartoons, Mickey’s Oscar appearances, etc. 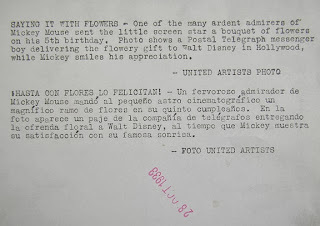 Mickey Mouse Annotated Filmography includes a listing of every Mickey Mouse theatrical film (including ones for other studios and cameos) and Mickey’s television appearances with additional notes. Mickey at the Parks covers the Mickey Mouse attractions, the history of the Mickey Mouse costumed characters, Mickey Mouse ears and more. 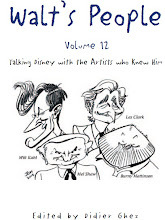 Speaking of the Mouse is almost twenty pages of quotes about Mickey from celebrities like astronaut Buzz Aldrin to animators like Ward Kimball. 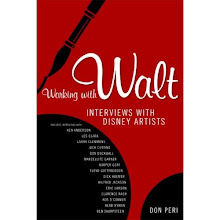 Final Word: Walt on Mickey is ten pages of quotes by Walt about Mickey that don’t appear elsewhere in the book. DG: Do you believe that even serious Disney historians will discover new information by reading it? 4. What are some of the most interesting discoveries you made while researching this book? 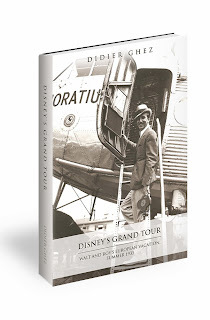 JK: One of the most amazing things I discovered was in the rough draft of YOUR new book Disney’s Grand Tour that Walt and Mickey Mouse did NOT receive a special award from the League of Nations. Lillian Disney in a 1953 interview said, “At this late date, I have no idea whether Mickey is a better name than Mortimer. 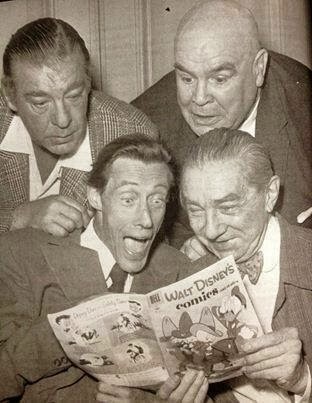 Nobody will ever know.” Or Walt said in an interview in 1951, “I’m tired of Mickey now. For him, it’s definitely trap time. The Mouse and I have been together for about 22 years. That’s long enough for any association.” Every day I worked on this book, I loved it. I discovered something new every single day and it is all in the book. 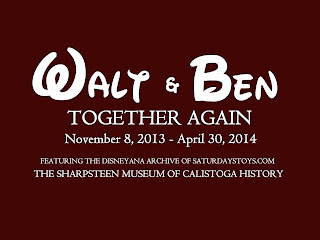 DG: Are you working on other Disney History-related projects at the moment? 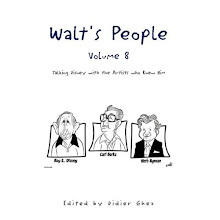 JK: I am gathering material for Vault of Walt: Volume 3. 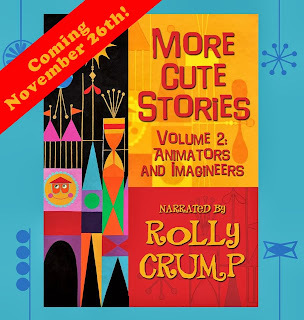 I am also working on two other Disney related books but I never talk about my books until they are done. 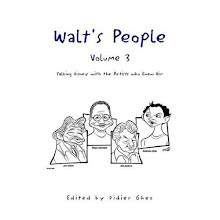 There were maybe eight people who knew I was working on The Book of Mouse and they only knew because I needed their assistance on something related to the book like the foreword by Ducky Williams. I consider you one of my very best friends and I didn’t even tell you. 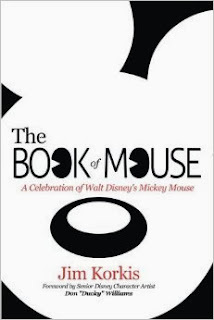 IF this book sells well, I do have enough material I couldn’t squeeze into the book to write a sequel called More Mouse. 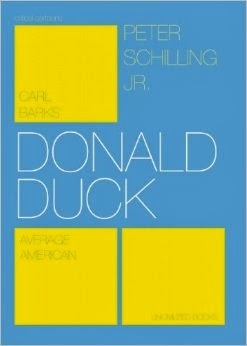 If people want to see that book, they will have to vote with their wallets and buy this book. 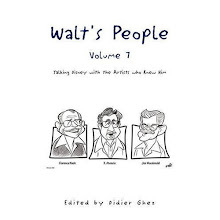 And don’t forget Vault of Walt: Volume 2! If, like me, you love what Jim Korkis' writes, then you are really in for a treat. 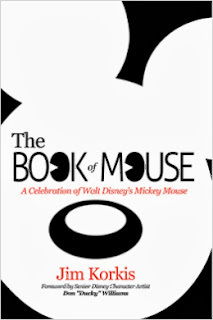 Not only did Jim recently publish The Vault of Walt - Volume 2 (which is a page-turner), today also marks the release of The Book of Mouse, just a few days before Mickey's birthday. I have not yet read this book, but it looks like a volume I can recommend sight-unseen (and I love the cover). 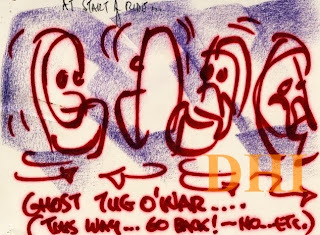 That's not all of it: To celebrate Mickey's birthday next week, Jim will be taking over the Disney History blog from November 18 to November 22, with a great series of exciting posts. 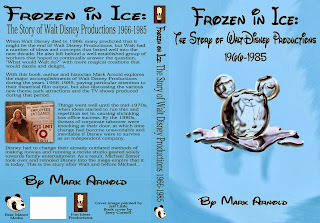 I have just received a review copy of Mark Arnold's new book, Frozen in Ice, and I wish I could say good things about it. Unfortunately there is not much on that side of the equation. The author is clearly passionate about his subject and has enjoyed (or suffered through) all the movies produced by the Disney Studio since Walt's death and until 1985. But the result is problematic, to say the least. Needless to say, both the cover and the title are horrendous. As to the content of the book... it is comprehensive, in the sense that all the movies are there and that their synopses are explained in great details. But do we really need a book of synopses, when one could actually watch the movies? 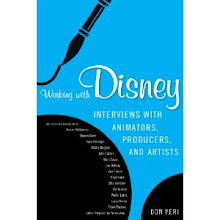 What would have been useful would be a book with a great wealth of information about the production of those movies, details about the creative process, etc. There is very, very little of this in there and unfortunately this leads me to recommend that you do not bother picking this volume up. 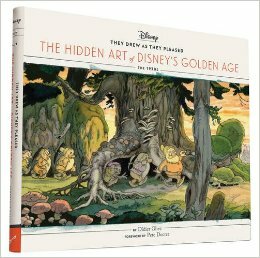 Do you have a Disney-related book that you would like to release? Theme Park Press is looking to sign authors with strong Disney stories to tell for release in 2014 and beyond. As you know, I have only good things to say about Bob McLain, the owner of Theme Park Press. He can be contacted at bob@themeparkpress.com. 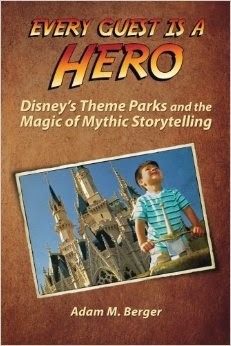 So keep those great Disney books coming! I love this Mickey Mouse float from the '30s. This is probably part of a parade that took place in Philadelphia. Would anyone of you know more about it? This just in from Mark Sonntag. More details about this story, following the two posts below. To say that I am extremely busy these days, would be the understatement of the century. We have just moved, over the weekend, to a new (and hopefully permanent) house in Coral Gables, Florida. Remember all these boxes of books from a year ago? This is happening again. 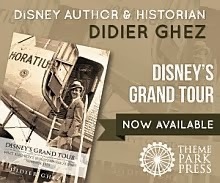 I am in the process of reviewing the galleys of Disney's Grand Tour, which should be released early December at the latest. I will soon be reviewing (along with Greg Ehrbar) the final galleys of Inside the Whimsy Works, which will be released in February 2014. 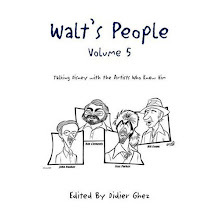 And I have just sent the manuscript of Walt's People - Volume 14 to the contributors for review, with the goal of releasing this new installment in March 2014. This is hopefully only the beggining. 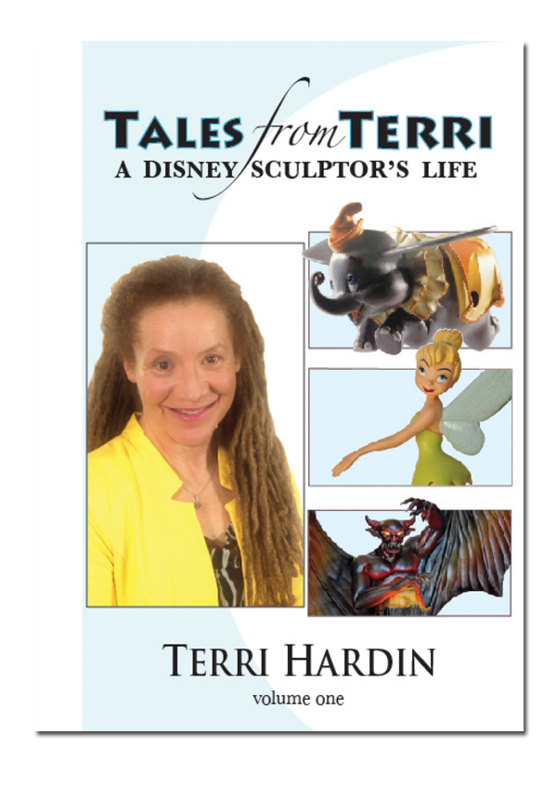 I am working (along with some of you) on helping edit three "lost" autobiographies of key Disney artists from the Golden Age and I have a few more exciting projects in various stages of development. This has been a very productive year indeed. Not yet sure what this book is worth, but it can be bought here. I just love those vintage Belgium cards. I can't thank Hans Crezee enough for sharing this image with us. 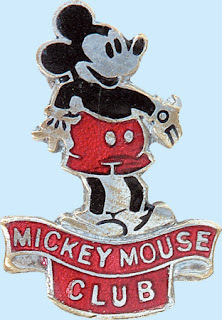 There is something about the look of Mickey in the '30s which is simply unbeatable. I just picked up this postcard last week. I had never seen it before and I was wondering if anyone of you has any information about it. This ad was released on June 1, 1938. 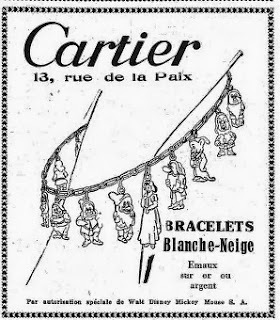 Not sure how much this silver and gold bracelet cost, but I have a feeling it was not cheap.